“Loose trucks save lives” so get ready to slack off that kingpin and browse our range of goods from ACE Trucks MFG at Division 24 Skate Store. ACE Trucks MFG was established under the umbrella of streetwear giant Diamond Supply Co. in 2006. After founder Joey Tershay (brother of Diamond owner, Nick Tershay) left his longstanding position at Independent Trucks, ACE was launched with a desire to fill a gap which the Tershay brothers saw in the skateboarding industry. Joey’s design for a truck, unreleased during his time with Independent, laid the foundation for ACE’s signature model. 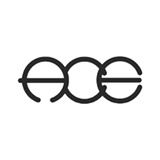 ACE take design cues from popular truck models of the 1980s (a natural influence given Joey Tershay’s time with Indy who dominated the skateboarding market throughout the decade). The tapered gradient of an ACE pivot cup to the truck’s hanger provides excellent response and allows the rider’s weight to be easily distributed which has made the brand to a quickly become a favourite for fans of a loose trucks. The influence of heritage truck design on ACE has produced one of the most versatile truck models available in skateboarding. ACE’s aesthetic influence goes even further back and nods to vintage speedway racing and early aviators as evident by the checkerboard motif subtly added to each baseplate (often found on apparel too) and is further complimented by their team of ‘Pilots’; Ronnie Sandoval, Raven Tershy, Tom Remillard, Eli Reed, Brian Delatorre, Kevin Rodrigues to name just a few alongside Harry Lintell and Mike Arnold representing ACE in the UK. Here you can find a selection of trucks from ACE in a variety of sizes. Make sure to consult the sizing guide below to find the ideal undercarriage for your set-up. ACE Trucks MFG size 33 models for 7.75” to 8.25” skateboards / size 44 models for 8.25” to 8.75” skateboards / size 55 models for 8.75” and above width skateboards.